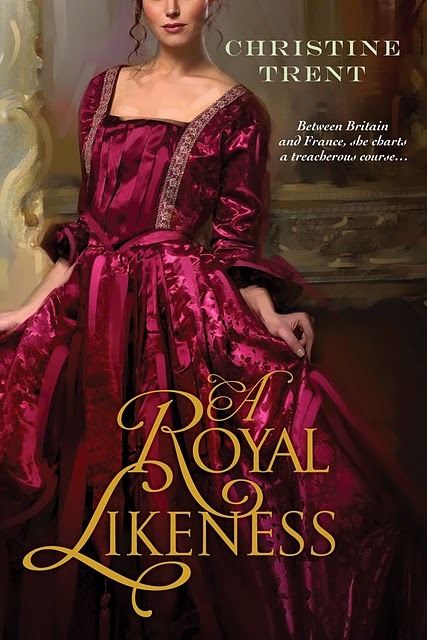 MY REVIEW: In Christine Trent’s sophomore release, A Royal Likeness , readers meet up again with Marguerite Ashby, niece to Claudette from Trent’s first novel, The Queen’s Dollmaker . Marguerite now owns the doll shop Claudette made famous, but when tragedy strikes she retreats to her aunt’s home to nurse her wounds. To help Marguerite conquer her grief and move on with her life, Claudette suggests that Marguerite join her friend Marie Tussaud and become her apprentice in the wax modeling business. During her time as Tussaud’s assistant, Marguerite learns the intricate art of creating wax sculptures as they travel throughout Great Britain, running the exhibition and sculpting various members of the aristocracy. When her skills as a wax sculptor are in need to aid the English against the invading Napoleon, she accepts the assignment and ends up participating in what is known now as the Battle of Trafalgar. All in all, A Royal Likeness is a fun read, complete with treacherous sea crossings, scheming businessmen and political intrigue, plus a dash of romance. It’s about losing love and finding it again and the endurance of the human spirit after tragedy occurs. I highly recommend! I really liked this one as well - she writes about such interesting occupations! I like that MS Trent is doing stories of women in unusual roles that we seldom hear of or consider. I look forward to reading this one and look forward to her future books.